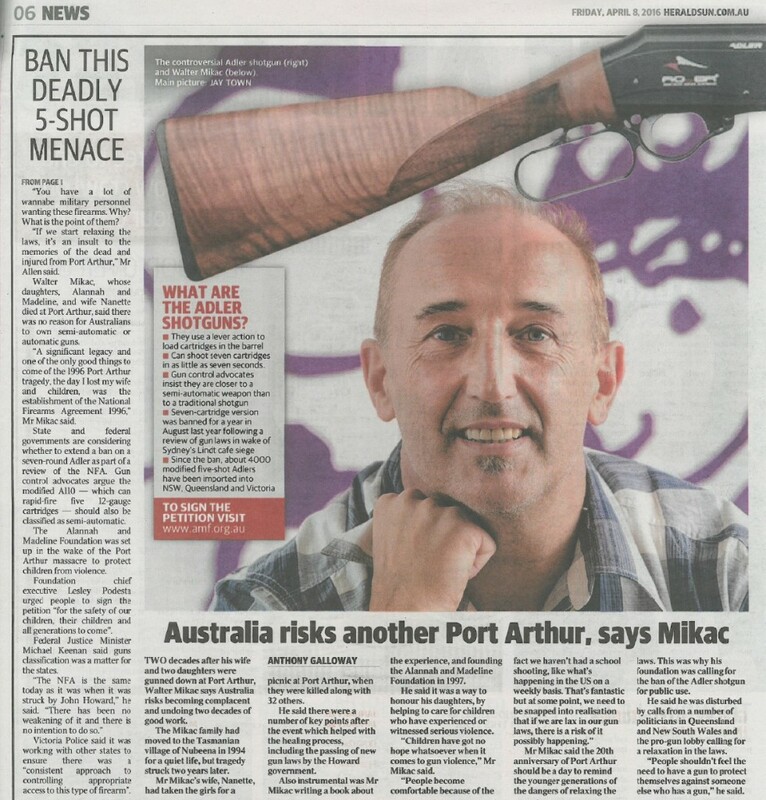 Lat this week, the Herald Sun ran not one, but two articles, one of which featured on the front page, plus an editorial campaigning against the Alder and pointing to increased firearm availability. Apart from focusing on old stories, including the reclassification issue which the federal government has dispensed with, the articles have one glaring omission – any input or comment from shooting interests. In other words, the shooting community had no right of reply. To make matters worse, we have tried previously to get in contact with their opinion editor, David Pougher, by email and through LinkedIn, which he did not respond to. While there can be good reasons for the non-response, we know for a fact our emails get through to other journalists at the Herald Sun – including other former opinion editors – so can rule out ‘technical issues’. After last week’s one-sided coverage of firearm storage and thefts, we were invited by one of David’s colleagues to submit an opinion piece which we duly submitted, but it got binned. There can be a number of reasons for this, however we’re quite experienced at having opinion pieces printed, so once again doubt the reason was ‘technical’. 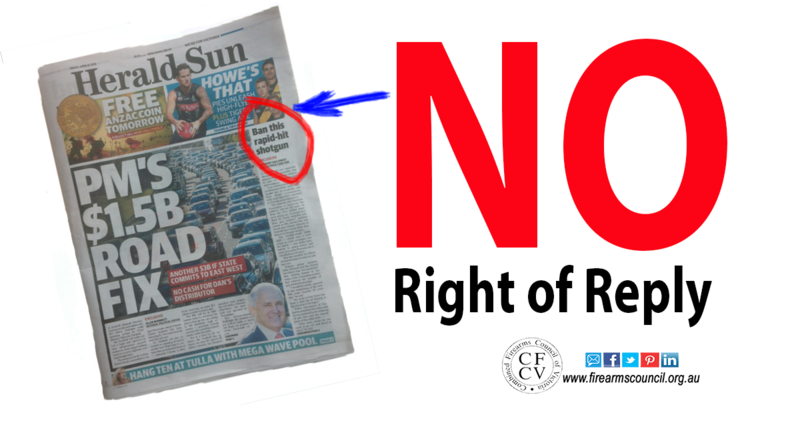 After this week’s articles, we emailed David asking for another opportunity to submit a right of reply- but guess what? No response. It’s disappointing because it means the shooting community has not had a right of reply, and by the looks of it, won’t have one going forward. If we’re wrong, then we’d be happy to correct the record, but our track record with Mr Pougher isn’t rosy. At the very least we should have a right of reply, even if his paper has a view which doesn’t agree with ours. UPDATE: Mr Pougher responded to an email we sent on 10 April, offering us the option of putting in a Letter to the Editor. We appreciate the fact he has now responded however don’t think a letter is sufficient to deal with the amount of coverage given to argument put forward by the antis. … and, consistent with the treatment of the unsupported claims by Victoria Police which we reported on last week (click for this), another opinion supporting the anti-gun cause. 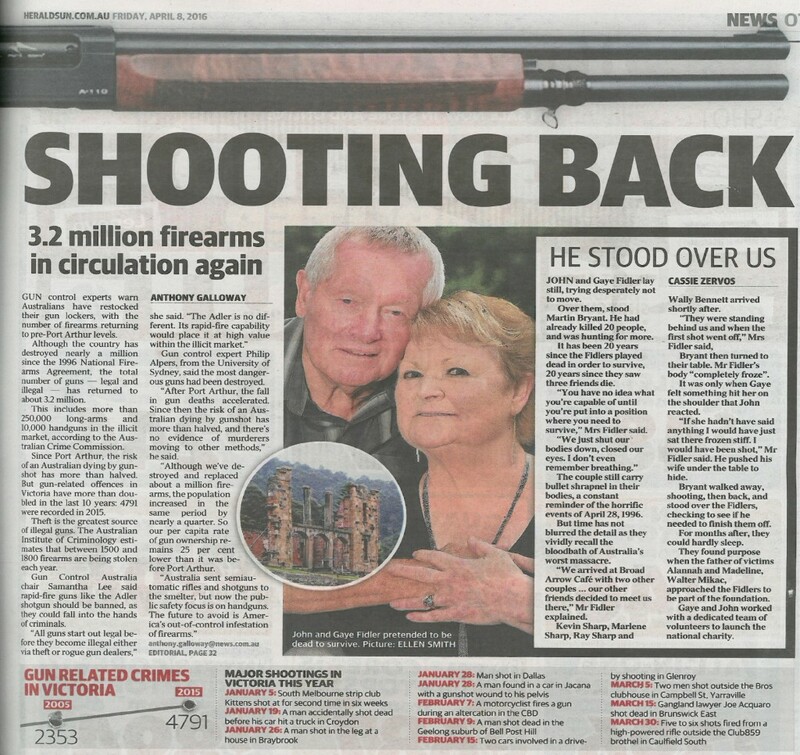 What is also interesting about this is the information the paper included about ammunition shells found in Dandenong, which once again suggests the Victoria Police is acting more as a tax-payer funded informant than a regulator. At least one media commentator, 3AW’s Tom Elliott, was quick to see through what the Herald Sun published, calling it a ‘beat up’. We’re happy to continue working with the Herald Sun if it wants us to. All we are asking for is for it to ask for facts (which were noticeably absent) and provide a right of reply where it should be done. To devote so much space to one side of the debate is remarkable. However for now, the reclassification issue is dead; we’d be happy to explain to the Herald Sun’s readers why that was the correct decision and should stay that way. Herald Sun subscription – cancelled. You fighting the global agenda here. We will get no voice. The only way to combat this is to increase firearms licence holder numbers, run many more social media campaigns (professional), have funded-well repeated community members who are shooters being inserted into local government and federal politics. What it takes is money, slick PR and intelligent propaganda just like the anti’s have at there disposal. Dont forget the police searched mb’s house again AFTER the News Corp house visit…. and THEN found arms and ammo…..
Murdoch is as anti-gun as they come – this is reflected in every article printed and they work hand in hand with the other propagandist GCA….. these people are not SCARED of guns, they simply want guns gone from the ‘people’, and WE should fear when there are forces so great, from the gov and non-gov side working together to disarm the people….